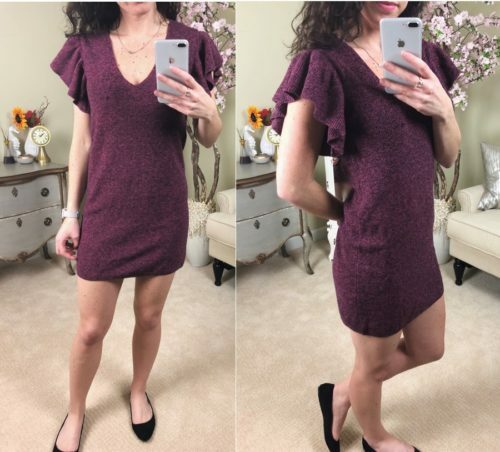 This flutter sleeve sweater dress (say that 3x fast!) is a truly insane price right now for Black Friday. Available in all sizes? Adorable with flats or tights/heels? Why can’t I stop asking questions? Anyway, Express sweater dresses have been a staple in my winter wardrobe for 5+ years. Runs TTS.